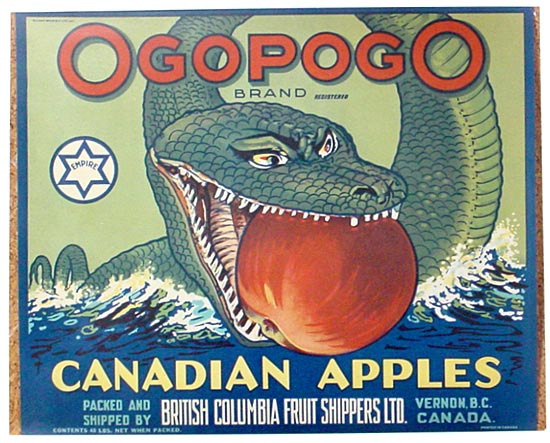 Go, Ogopogo, And Don’t Come Back No More! 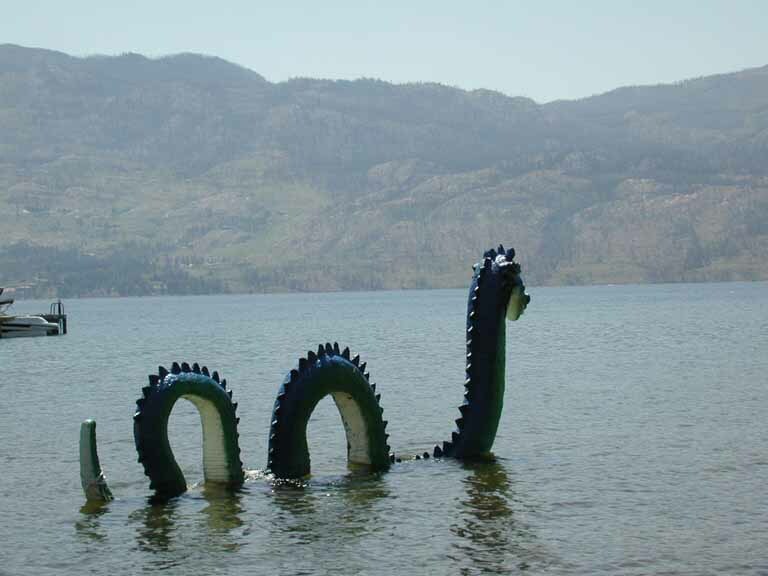 There is a legend from the time when the British Empire owned this corner of North America, that says that the local people, the Syilx, claimed there was a monster in the lake, much like the cryptosaur of Loch Ness: kind of a long snaky thing with teeth at one end and a tale at the other. The wire and concrete version. Note the excellent hand-cut rubber tire look. 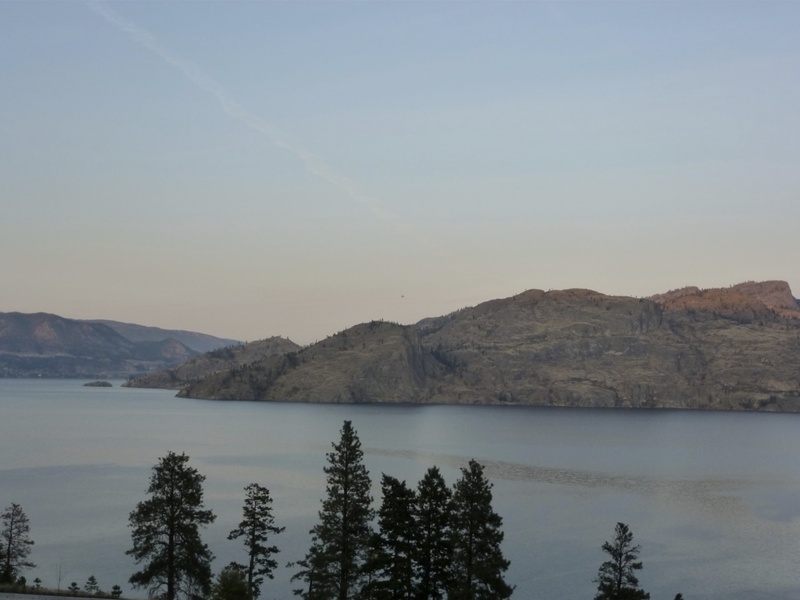 According to Syilx Geography, the creature N’ha-a-itk, which was disrespectfully garbled as Ogopogo, lived in a cave beneath this island. 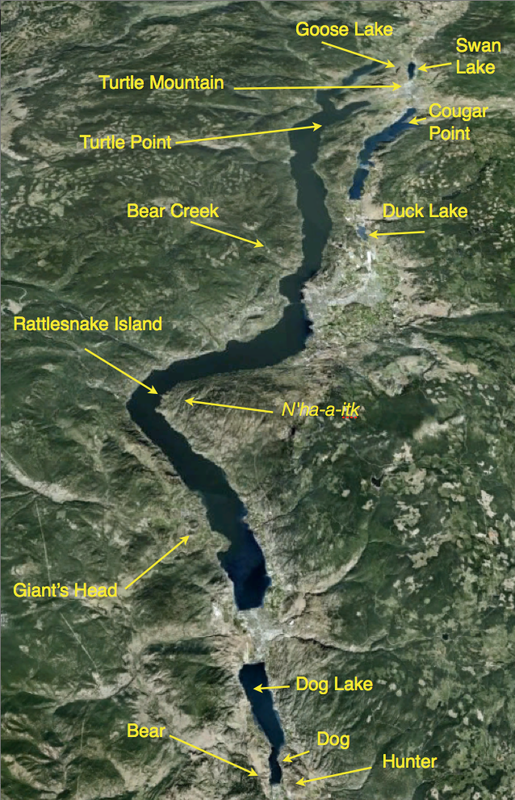 Rattlesnake Island and … A Head with a … Snout? The Snout is a Head, too? This game is at least half as much fun as the Cryptosaur one, but it does have some basis in cultural understanding. 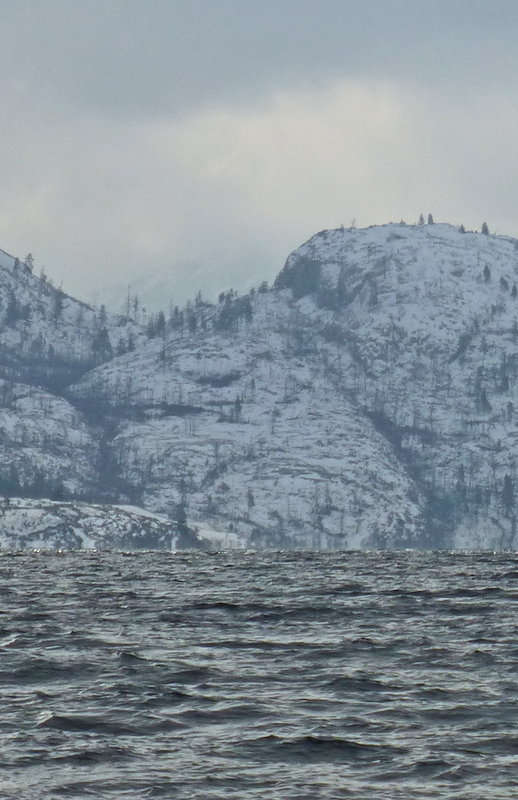 These guys used to come up here from Siberia, but were cut off when lake levels sank at the end of the Ice Age. Could the stories here be that old? Sure. Everything is flowing together. Every thing is changing into each other thing. People, too. 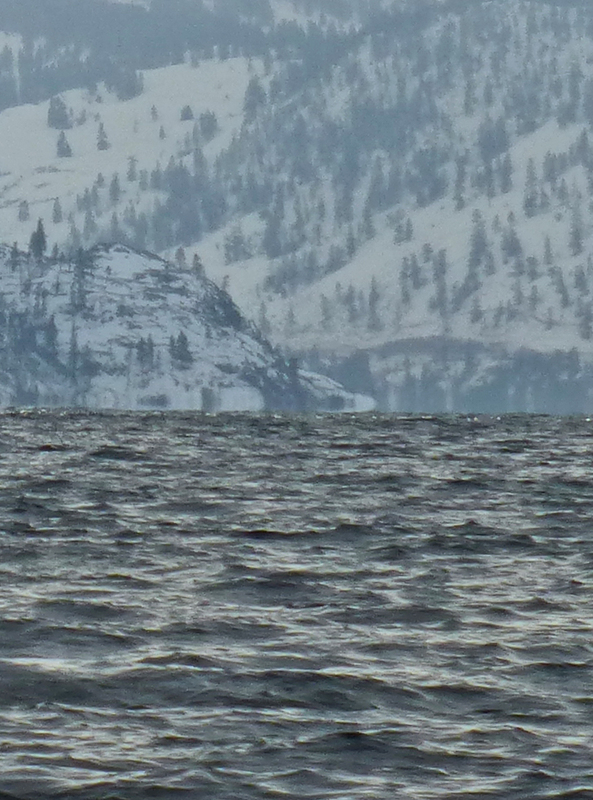 With that pattern of thought, I think the entire valley of Okanagan Lake was once read as a story. Here is just a brief introduction to its characters. There are many more. 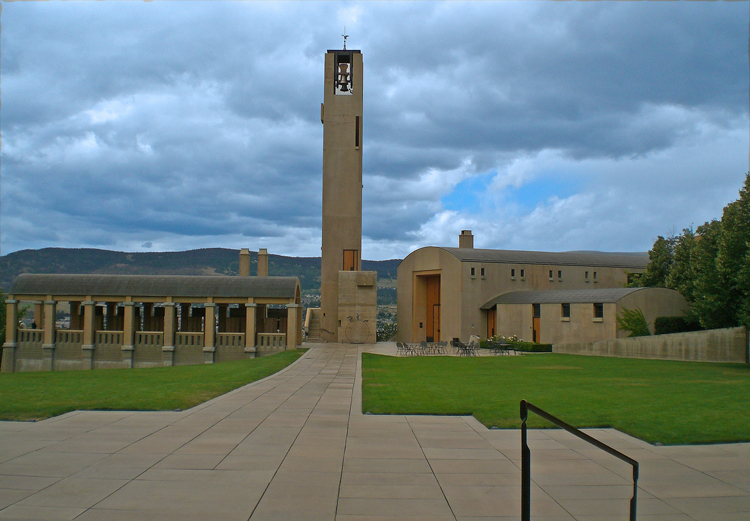 Mission Hill Winery, West Kelowna Source. That’s a blue bristle from a street sweeping machine in the foreground. The university has currently raised 1 billion dollars towards its 1.5 billion dollar goal of supporting innovation and something it calls ‘place’. 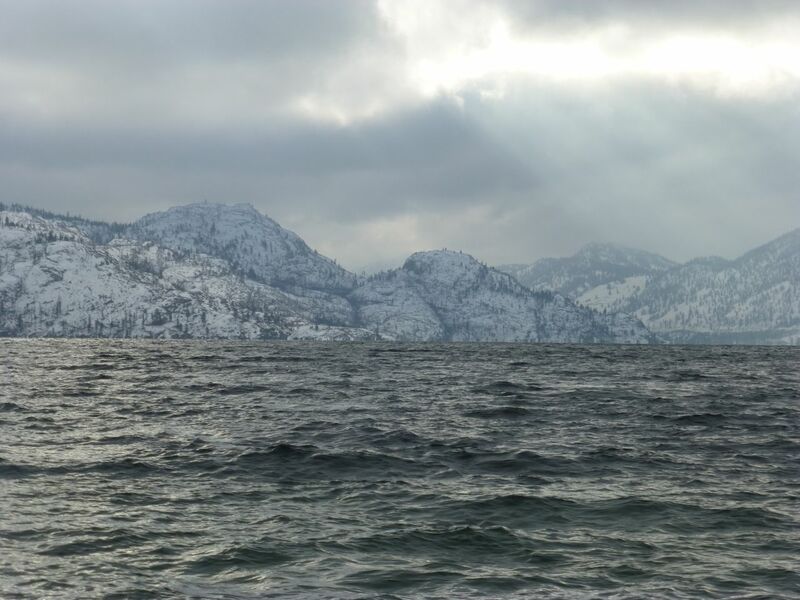 I’d sure miss the earth if it were gone. The place in the image just above has already left it. Next: What innovation really looks like. What Do You Say to a Glacier?